Choosing a new banner stand can be a tricky process. 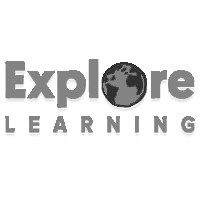 With so many types available, you need to be aware of the differences and know the correct terminology. 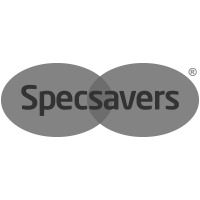 Whether you are choosing your first banner stand or are have sampled different banner stands in the past, our comprehensive guide aims to clear up some of the industry terminology to help you decide which banner stand is the best choice for you. Why use a banner stand? 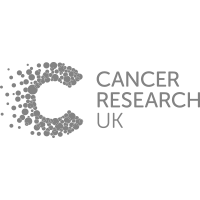 Which supplier should I choose for my banner stands? 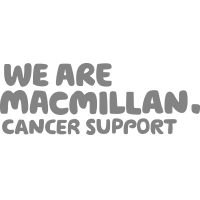 A banner stand is a type of exhibition stand that displays a printed company logo, message or design on a vinyl, polyester-based or fabric material. 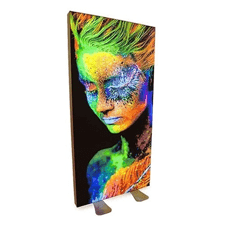 They are most prominent in shell schemes at trade shows and exhibitions, although they can also be widely seen in retail areas, hotel lobbies, reception spaces and pretty much any setting where an organisation wants to increase its brand visibility or display some useful information to visitors. What other names are there for banner stands? 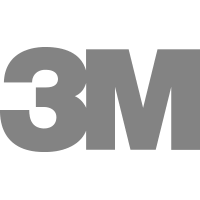 Promoting a business through advertising or different marketing channels can be extremely costly – and often has mixed results. 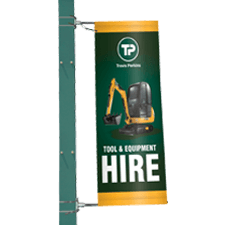 Banner stands are favoured by marketers as they are relatively cheap, whilst they often look far more professional than their cost. However, sometimes the most cost-effective option isn’t the cheapest banner stand. For example, if you are attending multiple events, a more durable model might be a better option. 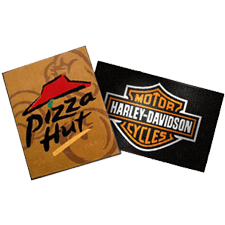 Choosing a type of banner stand is very important and could save you even more money depending on your needs. 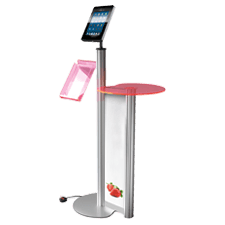 Most portable display stands can be transported fairly easily and set up without tools, however banner stands are undoubtedly the simplest display stands to assemble. 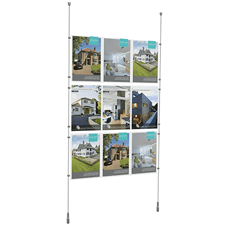 Light and compact – banner stands are an ideal solution for a business person that wants to arrive in a new location and have an eye-catching display ready in a matter of minutes. So where can a banner stand be used? 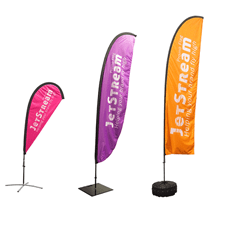 Here are some popular banner stand uses, although there’s always room for creativity! 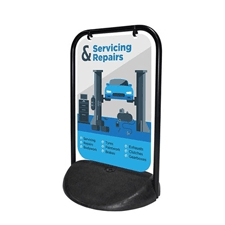 More than any other type of promotional display, banner stands come with a wide variety of functions to suit different needs. 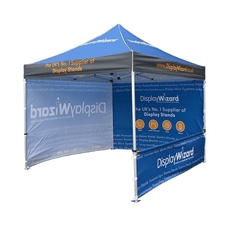 From weather-resistant outdoor banner stands to Twist modular display systems that can be altered to fit different-sized shell schemes, the types of banner stand are endless. 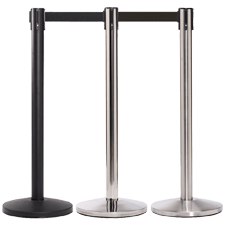 With all this choice and variety in price, choosing what type of banner stand suits your needs is almost the hardest part, so make sure you read about the types of banner stand before you make a decision. 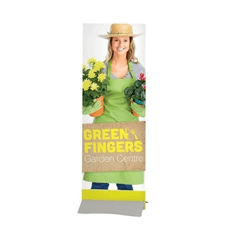 Roller banner stands, also known as pop up or retractable banners, are the most popular type of banner due to their easy portability and quick assembly. 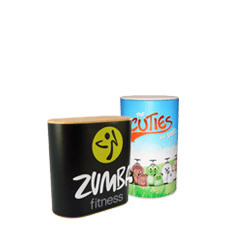 The printed graphic is protected in the base during transport, and can be pulled up easily on a spring-based roller mechanism. 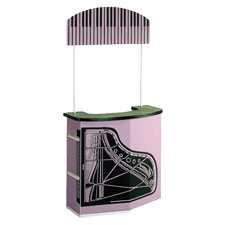 It is possible to replace the graphic once it becomes worn or outdated but due to the difficulty in doing this and low cost of many stands, most suppliers will suggest buying a new stand altogether. Please check with your supplier first though as replacement graphics may be offered for higher value roller banner stands. 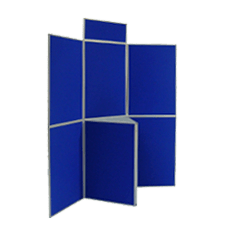 They are suited for exhibitors with one or two shows a year, start-up businesses looking for a cost-effective banner display or anyone who wants an easily-assembled accompaniment for a public space. 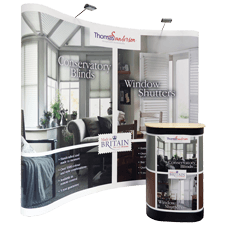 Tension banners are a visually striking banner, well-suited to experienced exhibitors. 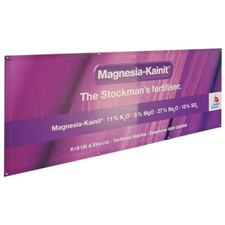 Unlike a roller banner, the graphic is held in place by a tension cable or pole system, which generally helps avoid curl on the sides of the display. 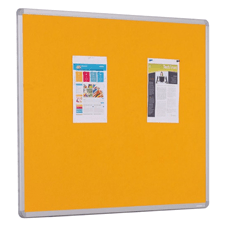 The benefits of this system are that the graphic can be removed easily from the frame and, providing it is handled carefully, reattached when the time is right. 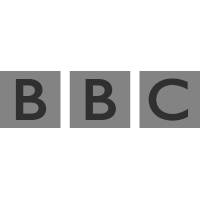 This also means a number of graphics can be easily replaced over a series of shows, with no need to purchase new hardware. 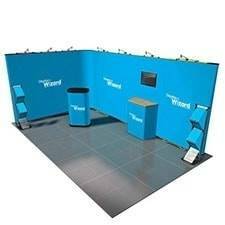 Tension banners are a great trade show display for exhibitors who want to have the ‘wow’ factor at a marketing event. 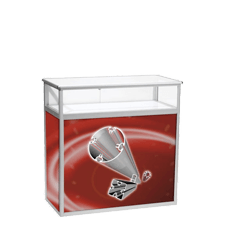 Some types of tension banner stand can be fixed together to create a wider, flexible display that is perfect for exhibiting in different-sized shell schemes with the same display. 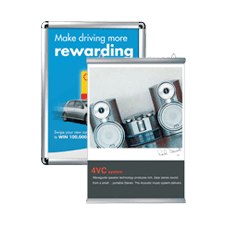 Cassette banners are an ideal solution for exhibitors who want a roll up display with easily-changeable graphics. 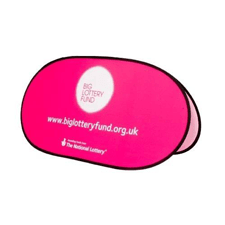 A cassette banner stand case holds a removable graphics cassette, which can be swapped with other cassettes if you need to change your marketing message. Changing the graphics is far easier than on a tension banner stand, so much so that you can even swap your message during a marketing event if needed. 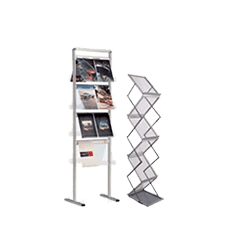 Cassette banners are an excellent exhibition display for exhibitors who want to change their display regularly. 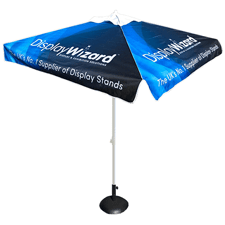 They have a sturdy design, making it a good choice for exhibitors who attend a large number of shows or who often damage their display. 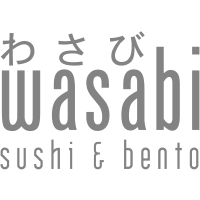 Place the logo at the top of the display – it will be the first thing people notice. 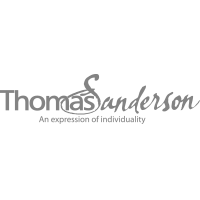 Follow this with a large picture illustrating your services or products accompanied with a few lines of customer-focused benefits underneath. 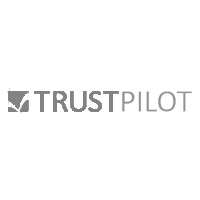 Finally, list all of you company’s contact details at the bottom of the display so people can easily get in touch once they understand what your company is offering. 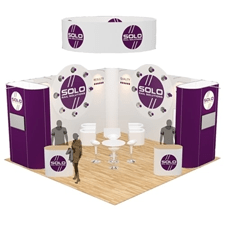 You can see an example banner stand layout in our post on How To Design An Exhibition Stand. 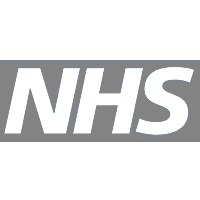 NB: For more established companies, not all of these requirements are needed, for example a highly-recognisable company like Coca-Cola or Apple wouldn’t need to list customer benefits, whilst a promotional banner display for use in a reception area might not require contact details. 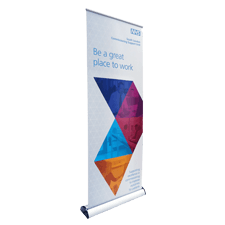 Banner stands are undoubtedly a great marketing tool, but are even better when they last for years and still look professional. In order to do this you need to take care of your stand, pulling the graphic out of the base carefully and cleaning any dirt or dust that may gather on the graphic. Remember also that indoor banner stands are unsuitable for outdoor use and could cause damage if exposed to wind and rain. 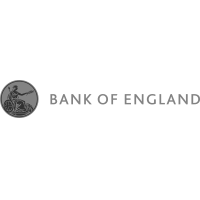 For more information on how to make sure you get the most value for money from your exhibition stand, please see our guide on How To Extend The Life Of An Exhibition Stand. 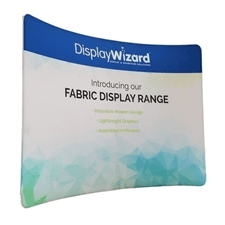 With over ten years in the large-format print industry, Display Wizard are experts in the design and print of banner stands. 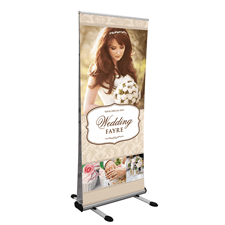 High-quality print media means are banner stands go for years! 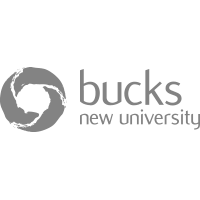 Quick & cheap UK mainland delivery! For all your banner stand enquiries please get in touch with Display Wizard today – we are always happy to help!